NEW LATEST OLD FASHION FULL SLEEVE BLOUSE TREND ON 2013 TO 2014. This blouse for round neck with full hand Gold flower printing and blue colour with yellow colour blouse. 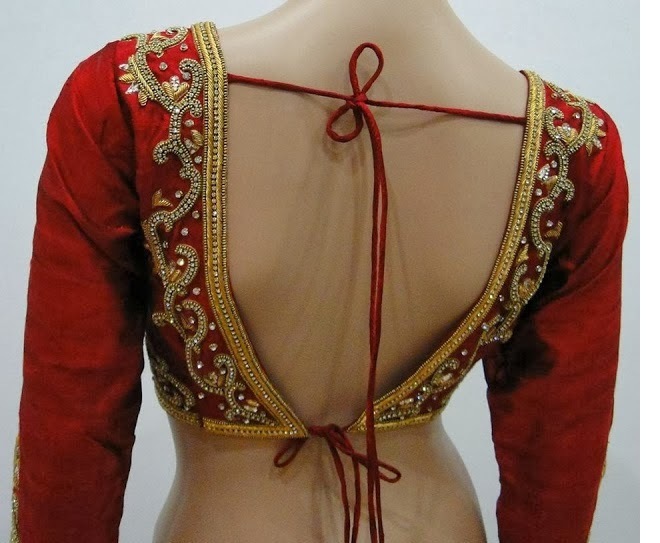 Red colour stone with zorthosi work designer back knot type blouseanf full hand . 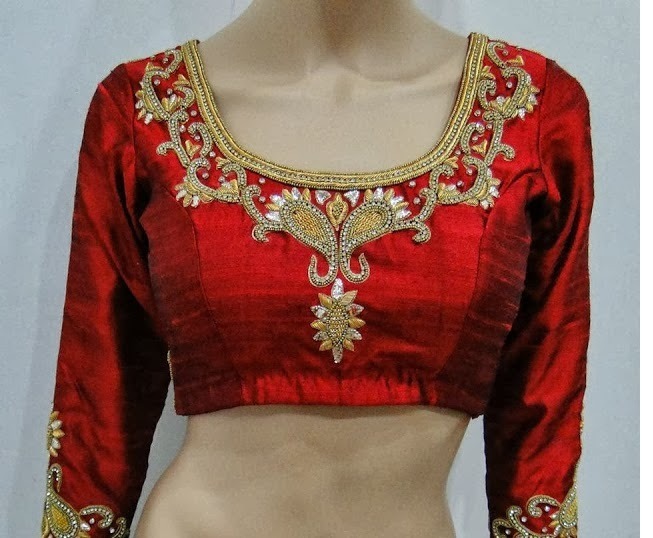 This saree for half and half sandal with lace cloth black colour combination saree with red and gold border.full sleeve blouse.